Pose questions to, and expect pronouncements from, the Delegate. I was up until 3am my time making these, so y'all better like them! The regional values are Justice, Education, Industry, and the Environment. Justice is represented by Lady Justice. Education is represented by a book. Industry, and clean industry at that so as to better reflect our environment value, is represented by wind turbines/generators. Environment is represented by a Forest-Man, who lives simply and does not adversely effect the environment. Last edited by Sanctaria on Wed Dec 02, 2015 5:36 am, edited 1 time in total. Reminds me of the flag of New York. I do like that you're retaining IDU's traditional royal blue color. 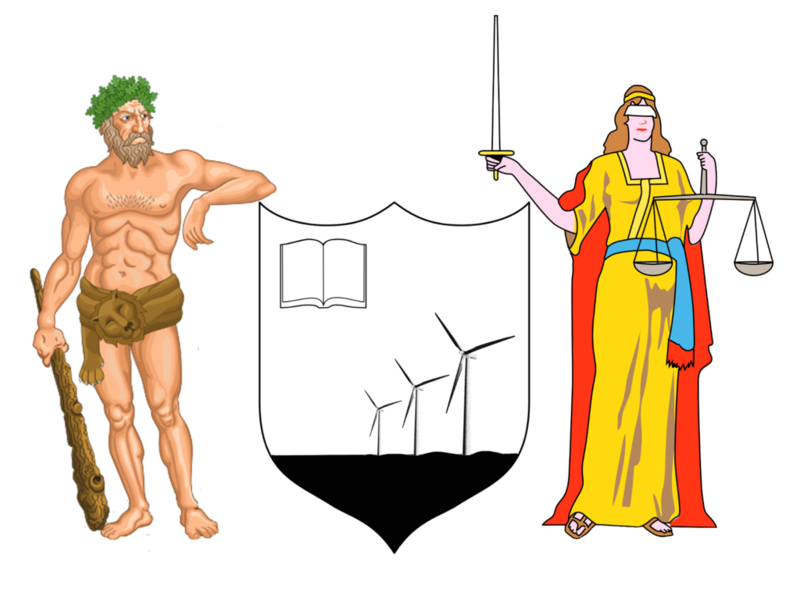 How about replacing the mountain man with a scholar in traditional academic robes (covering education), and inside the shield, instead of the book, include mountains, trees and a lake (covering environment), along with the turbines? It might also represent the environment and industry being able to coexist harmoniously, without inflicting unnecessary harm on either? 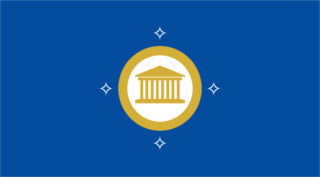 <blockquote class='quote_blockquote'><dl><dt>boricuastan</dt><dd>Dec 5 2015, 12:52:36 AM</dd></dl><div>Reminds me of the flag of New York. I do like that you're retaining IDU's traditional royal blue color. 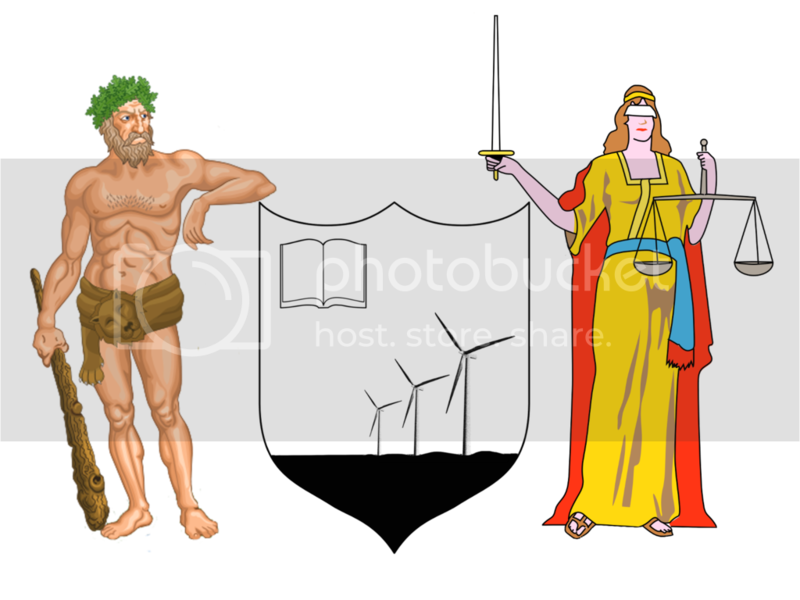 How about replacing the mountain man with a scholar in traditional academic robes (covering education), and inside the shield, instead of the book, include mountains, trees and a lake (covering environment), along with the turbines? It might also represent the environment and industry being able to coexist harmoniously, without inflicting unnecessary harm on either? [/quote]Yup, I can look at this. Posting these again here since photobucket ate the last ones. Flag first, then CoA. How about replacing the mountain man with a scholar in traditional academic robes (covering education), and inside the shield, instead of the book, include mountains, trees and a lake (covering environment), along with the turbines? It might also represent the environment and industry being able to coexist harmoniously, without inflicting unnecessary harm on either?[/quote]So! I have finally gotten around to what Kenny suggested. I couldn't find a supporter to show education, like he suggested, but I did find Issac Newton so ... close enough? I have some misgivings about these. In my opinion, good vexillology uses simple, distinct shapes similar to those on our current flag.Flags should be simple and memorable. This seems too complex and hard to reproduce to me. Aside from the design issue, I'm also unsure about putting two light-skinned people to represent our region, as well as Issac Newton, who was never a person of our region. I'm not going to argue with your critiques of the design itself - your opinions are perfectly valid. I definitely don't agree with your issues about the heraldic supporters, though, but ok, I guess. Each to their own. I mean, I'm pretty sure the UK has no native unicorns or lions but sure. It's a strange problem to have with it. I will say, though, that an update on our flag is actually important. Our one we have at the moment is poorly rendered and makes integrating it into our promotional and regional material difficult. Last edited by Sanctaria on Mon Aug 28, 2017 1:32 am, edited 1 time in total. 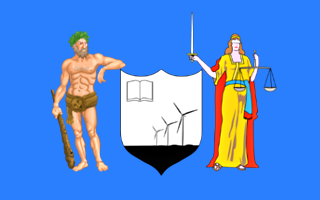 How about this for a potential new flag. 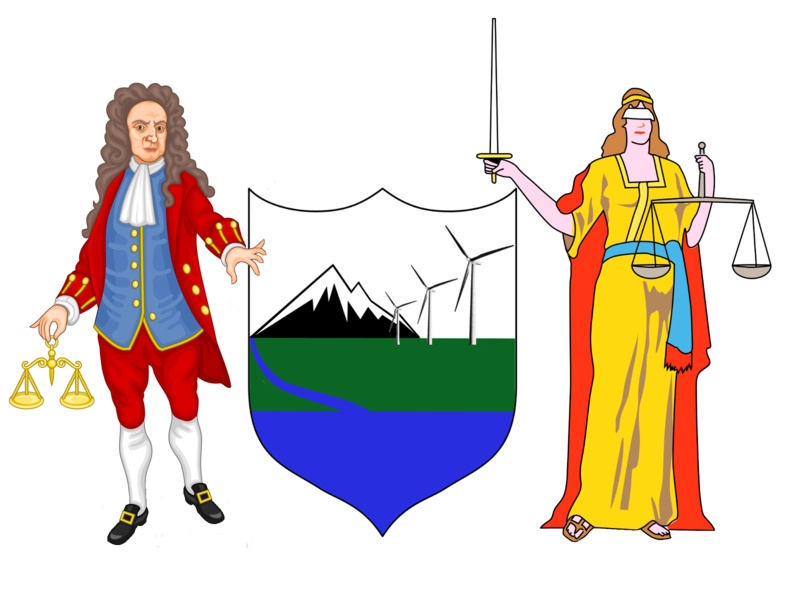 The symbol in the middle represents Democracy. The circles (gold + white) represent a Union. It keeps the traditional IDU blue. 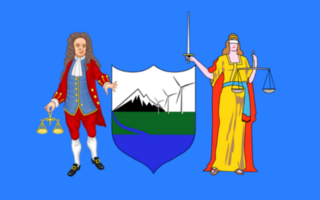 4 four-pointed stars symbolise the justice, education, industry, and environment pillars of our community. Gold borders because we are one of the premiere regions in NS for things like WA, Issues, and RP. And because the 4 stars are outside the circle and come together to complete a further circle, of sorts, it represents the International part of our name. I quite like the new flag idea. I like it, and believe we should submit it to the IDUSA for a vote.